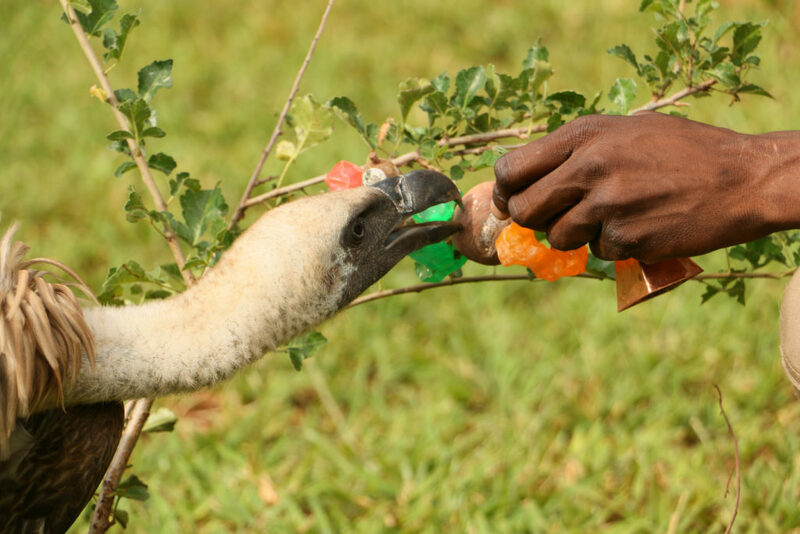 In December 2013, The Victoria Falls Wildlife Trust (VFWT) took in a young white-backed vulture that had been found lying on the ground in the Zambezi National Park, unable to lift his head and struggling with an injured wing. A local resident brought the injured vulture into VFWT, where wildlife veterinarians treated him, and decided to nurse him back to health. The team at VFWT named the intrepid young chick: “Judge”. Unfortunately, Judge’s wing was deformed, either due to toxicity or a collision in the air with another vulture. Vets said that Judge will never be able to fly properly again, so VFWT agreed to adopt the bird and look after him for the duration of his life. Judge has now recovered and he is able to walk around and be active, and sometimes tries to use his wings as they get stronger. 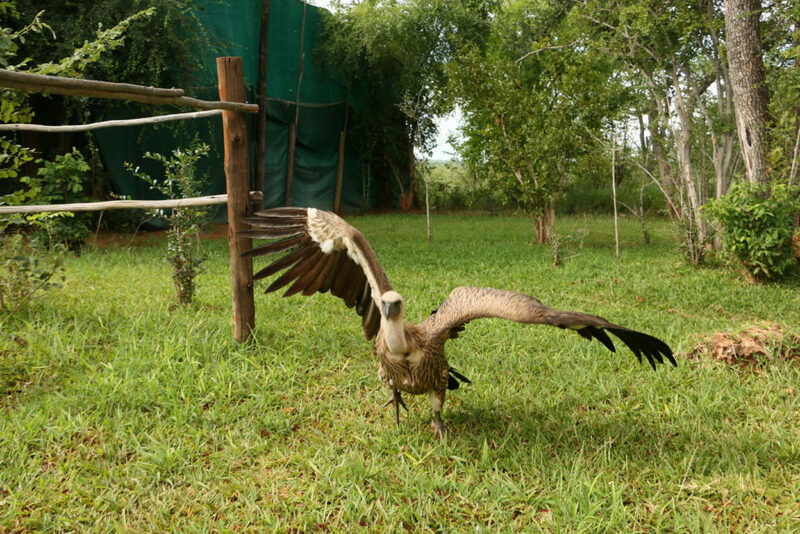 Judge now lives in an open-air enclosure, so he can fly out at night if he wishes, however his wing is still healing, so he can’t fly very far. He’s a very social vulture and is always interested in noises and commotion around him at the Trust. He enjoys the company of people and is very inquisitive, and if anything is happening outside, he wants to participate and see what is going on. Judge responds to his handlers’ calls and a toy with shiny plastic and a bell is used to attract his attention. He is also very fond of shoelaces. 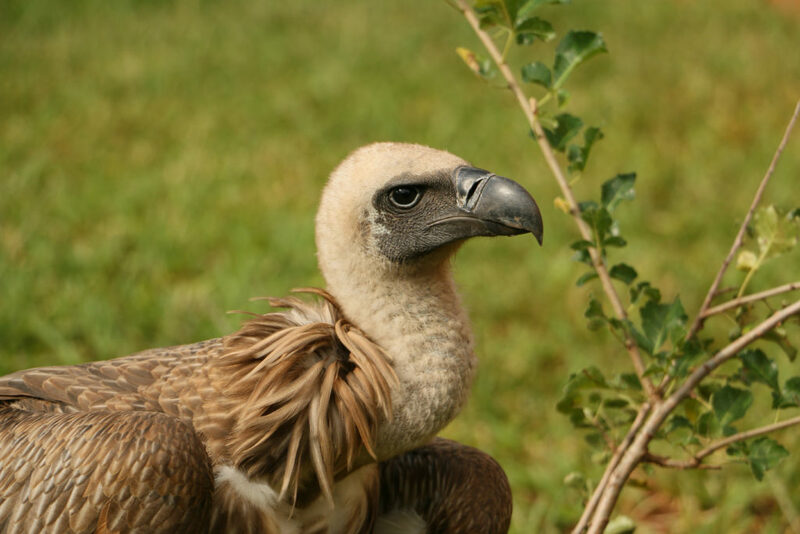 As white-backed vultures are rarer than previously believed, their conservation status was reassessed from Least Concern to Near Threatened in the 2007 IUCN Red List. In 2012 it was further uplifted to Endangered. Judge will act as an ambassador for the Victoria Falls Wildlife Trust, where school groups will come in and learn about declining vulture populations and the issues of vulture poisoning. Stop by some time and meet Judge for yourself.